Down syndrome is the outcome of chromosomal abnormality that causes intellectual disability, weak muscle tone, and a characteristic facial appearance in infancy. People with this condition have to deal with cognitive delays but the intellectual disability is often mild or moderate. The condition affects one in every 691 babies born in the U.S., and is therefore the most common genetic condition today. More than 400,000 people in the U.S. have Down syndrome and as many as 6,000 babies are born with Down syndrome in the U.S. each year. As it is quite common, many people ask, “How is Down syndrome inherited?” Let’s find out more about it. Every cell in your body contains a nucleus that stores genetic material in genes. Grouped along rod-like structures called chromosomes, these genes have the codes that determine your inherited traits. There are 23 pairs of chromosomes in the nucleus of each cell, and half of these are from each parent. 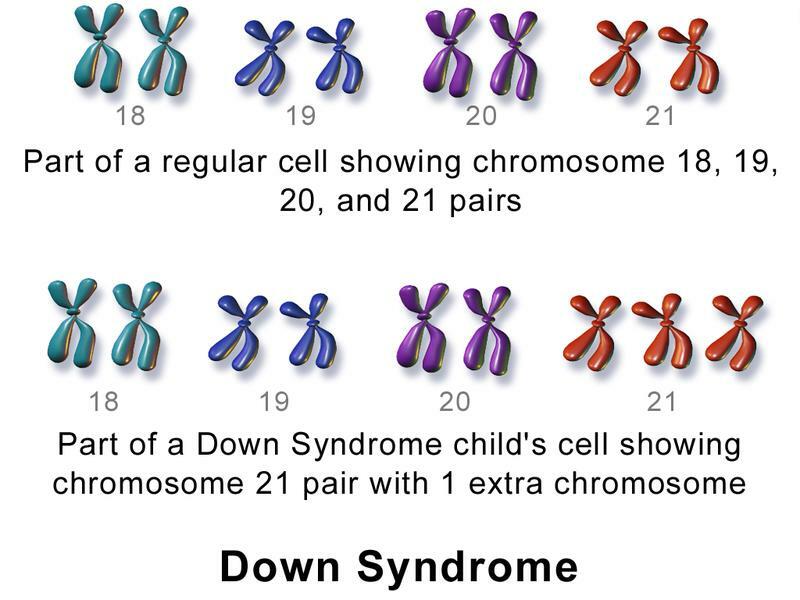 Some people may have a full or partial extra copy of chromosome 21 and this leads to the development of Down syndrome. The course of development changes considerably due to this additional genetic material.